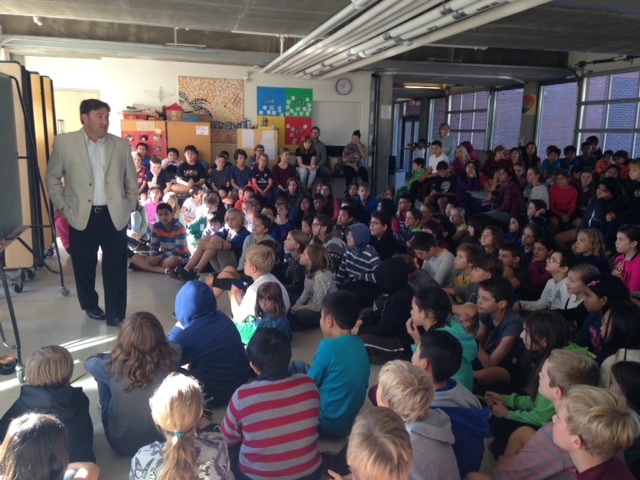 On September 28, 2015, Don Davies, the NDP candidate for Vancouver-Kingsway visited Charles Dickens Elementary school. 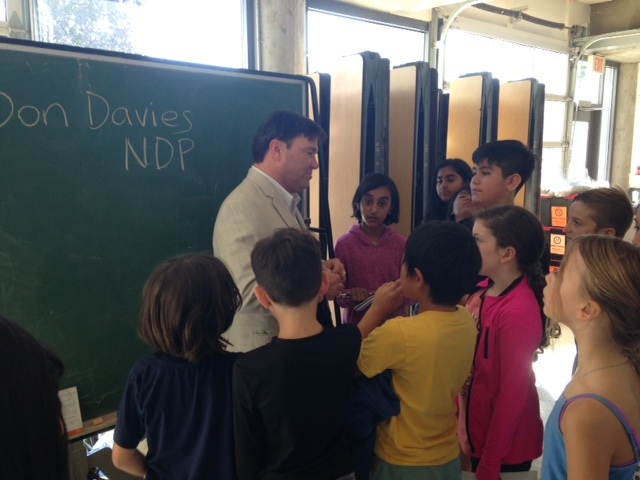 What he talked about was the NDP values and beliefs and platform. He talked about the military spending in Syria and Iraq and how the NDP wanted to cut that spending. I felt that when Don talks, he told impassioned about the NDP values and beliefs. I liked the idea when he talked about helping the LGBTQ kids. I think the NDP will help the environment as well as the society. I felt that Don Davies was confident and he tried and he’s a man who tried to make the best out of his life. I like the idea of having candidates for parties come to talk to us because we get more of an idea of what’s going on around the world and in Canada. 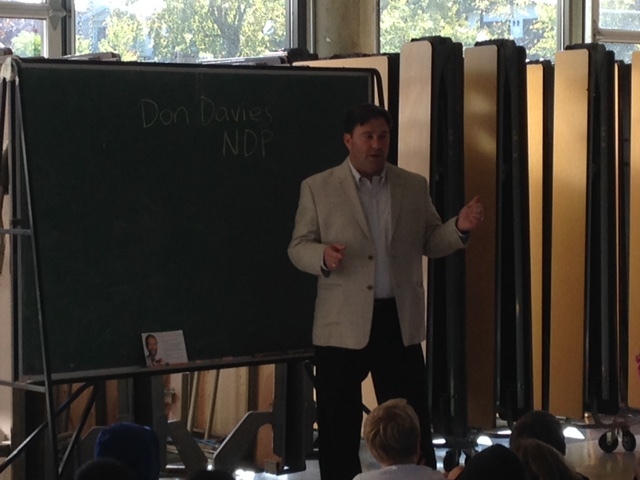 Last Monday, on the 28th of September, Don Davies the NDP candidate for our riding came and talked to us about the NDP’s plan and how to achieve and complete the NDP’s plan for infrastructure. Don Davies’ platform was to invest in healthcare so that families can afford Vancouver homes and so that they can afford other things. He also talked about how the NDP understood what their plans cost and that they had planned where the money came from to make their plan happen. Don Davies was a really nice man.